22D-650 Adhesive Spreader | Spreaders and Roll Coaters | Black Bros. The Black Bros. 22D-650 Adhesive Spreader and Roll Coater is a strong machine built for when your process requires a narrow coating width. The 6.5-inch (165 mm) rolls offer a deeper reservoir with standard machine width ranges from 26″ to 38″ (660 mm to 965 mm). 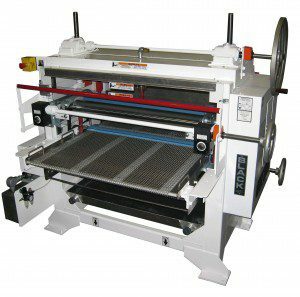 The 650 is part of the 22D family of machines, therefore a large number of options are available along with a substantial standard equipment list. Consider a 22D-650 Spreader or Coater when you want to process small to medium sized components and need special machine features not available on the 775 Spreader and Coater.